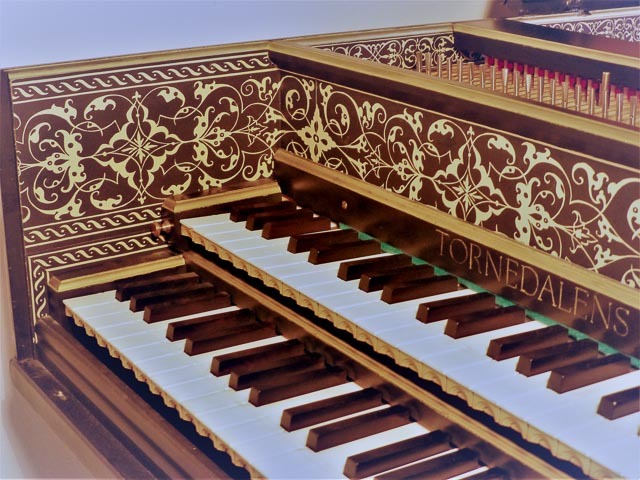 The main model for this instrument is a big double manual Rückers from the 17th century. 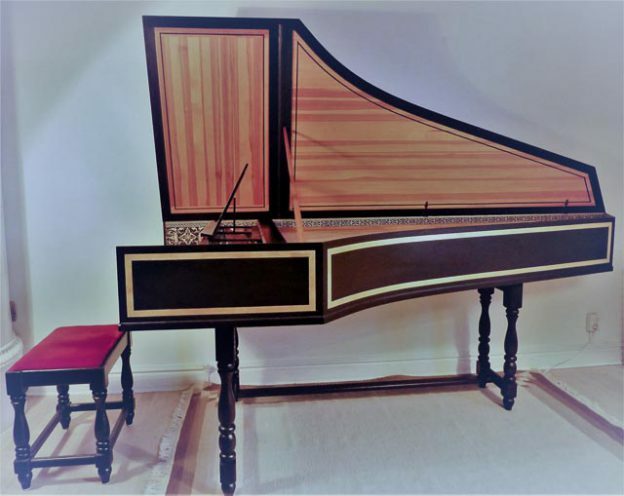 The instrument was built with frame from pine wood and a spruce soundboard. 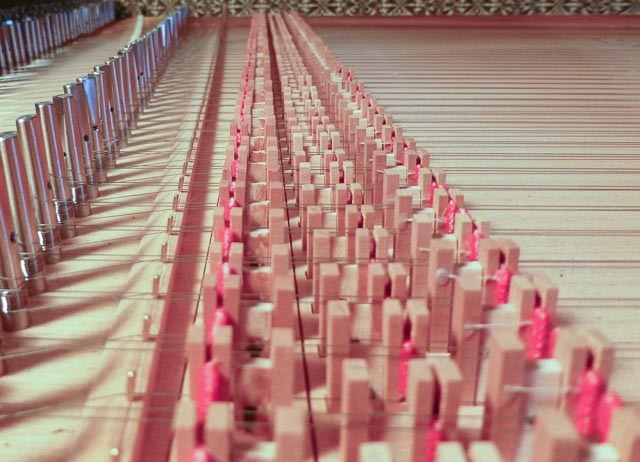 The keyboards naturals are covered with bone and the sharps with ebony according to flemish tradition. The stand has turned legs and can be taken apart.